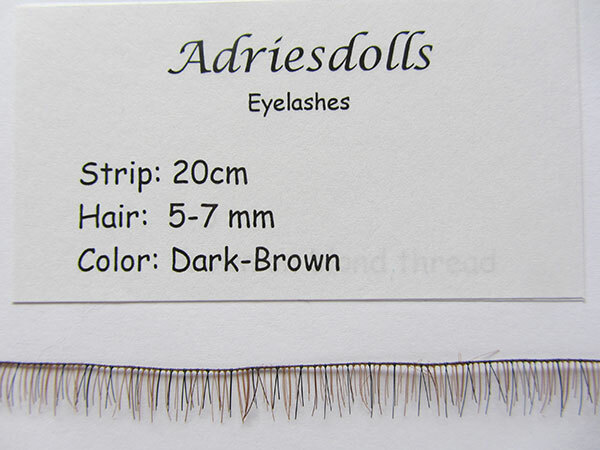 Eyelash strip 20cm with 5-7mm hairs. Color: Dark-Brown. When you are not rooting your eyelashes these will do the job! Strip of 20cm so you can cut them to the size you want. Should be enough to use on 2-3 18-28" kits. 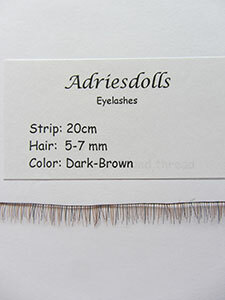 Lenght of the hairs is 5-7mm, so perfect for all babies!